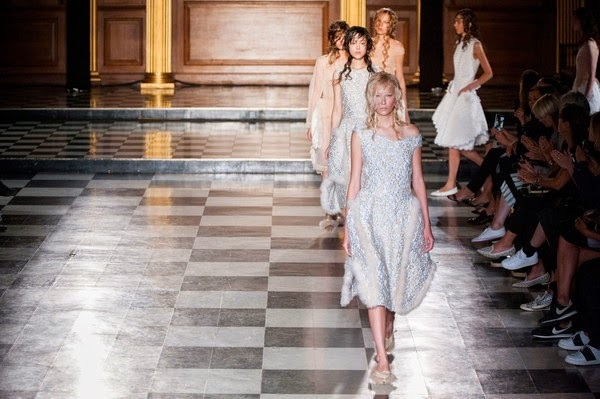 The day after Irish designer Simone Rocha presented at London Fashion Week, I saw four different national newspapers feature a London Fashion Week section and Simone’s designs was the accompanying image. Simone’s show was the hot ticket of fashion week. For her show she was inspired by German ballet director and choreographer Pina Bausch’s works. Simone’s work is very tonal but this season there was bright florals (resembling Bausch’s ballet ‘Nelken’). There was one floral look which was so pretty and romantic (romanticism with a dark edge is synonymous with Simone’s designs). 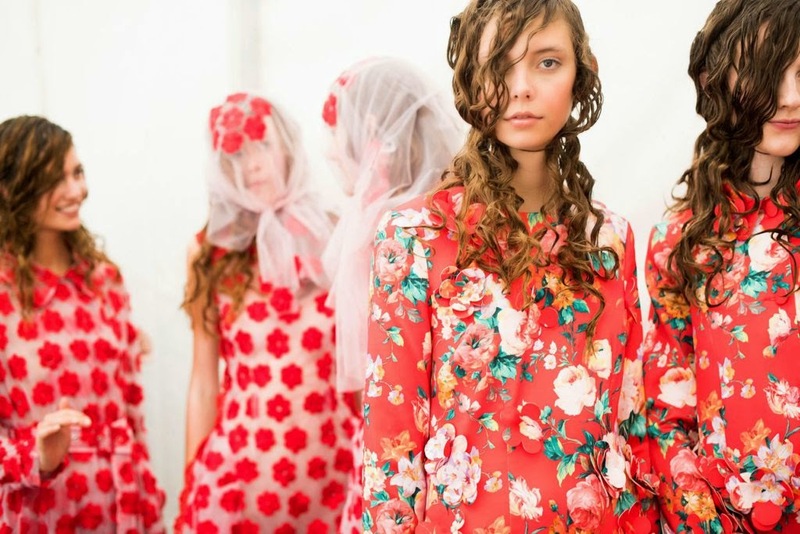 Look 17 was a sheer coat with dainty red petal embroideries. A veil was worn by the model which also had an assortment of red floral embroideries. Simone has been making accessories for quite a while now and I love the funky attitude they give to the looks. Especially those that are very soft, they give them a hard edge. There was flat slip-on sandals (not the ones I don’t like) which were lined with fur. They were different to the C eline fur-kenstocks and much nicer in my opinion. There was a variety of other shoes to choose from. Flats, Mary-Janes will a small heel and lace-ups with platforms or without. This season there was a gorgeous bag. It was a black leather hexagonal tote with fur accents. Fur was a key part of the collection. Small amounts were used which helped maintain the light and airiness of spring. Even the black looks seemed summery. It was probably the usage of sheer materials and accessories. Every season I say the same thing about Simone’s collections. Best collection to date. The phrase is tired but I cannot deny the every collection is better than the last. She is a whiz when it comes to designing and it is more than enjoyable to watch her label grow and develop each season.